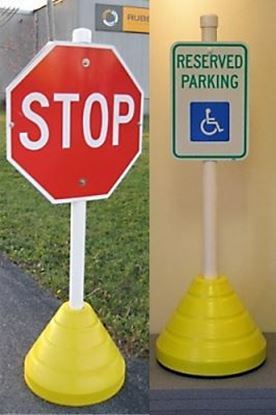 Discover the larger Next Generation heavy duty rolling sign base for traffic, safety parking signs and more. Size Does Matter. Larger footprint and larger capacity equals greater stability and wind resistance for taller poles and/or larger signs. Clean design looks great and is perfect for every location; outside/inside. Just Grip, Tip and Roll; no more lifting or carrying.  When your sign needs to be seen, size matters.  24” diameter for maximum stability and wind resistance.  16” height for maximum pole support.  Modern look with structural design elements for maximum strength.  Holds up to 8-10 gallons of water/sand; weighs over 70-90 lbs.  Total capacity; 12-15 gallons.  For added weight, up to 120 lbs., use sand or cement.  Black 2” diameter HDPE pole won’t crack in the cold.  Metal inner sleeve eliminates pole bending.  ‘EZ-GRIP’ Finial looks great and makes moving the sign easy.  Extra Wide 3” recessed wheels for easy rolling; no lifting/carrying.  Pre-drilled pole holes for signs with 3” hole spacing.  New single bolt security system locks pole to base and aligns pole on base. 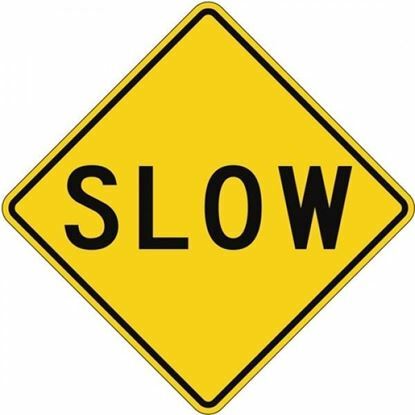  Exclusive ‘Soft Edge’ rounded Stability Plates keep sign from twisting on pole. 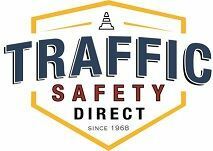  Designed for sign panels from 9”x12” to 24”x24” and 12”x36”.  3 large foot-pads for stability on any surface. 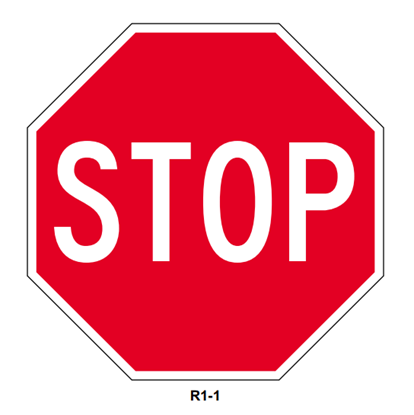  Accommodates signs with starting hole 1.5” or 3” from top of sign. 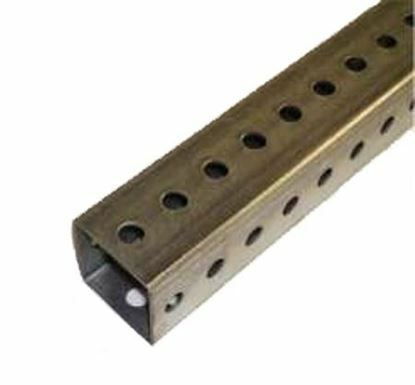  Large ballast port accept sand/water for stability- can withstand freezing.  Bases available without wheels for more permanent applications.  Low cost shipping; UPS-able.  Recycled Technopolymer base never rusts and always looks good.  Colors available; supplemental charge applies. 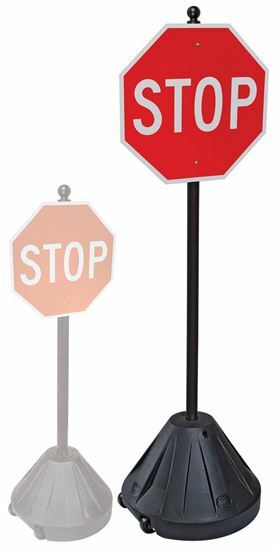  Fast assembly; insert pole, tighten security bolt and mount sign.